Eat. Live. Laugh. and sometimes shop! : Summer Vegetable Potato Salad. 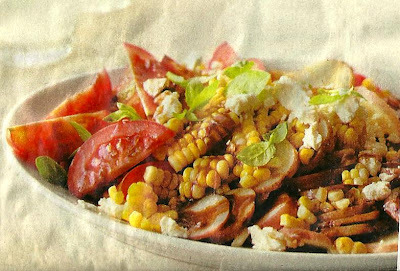 This is a great summer salad. Incredibly easy to throw together. Served at room temperature (which makes my lifer easier) And so much tastier (and healthier) than the traditional mayonnaise-laden version. I served it tonight alongside burgers. It would also be great to bring to a pot-luck dinner or when entertaining poolside (love things served at room temp).